Maybe you’ve always wanted more of yourself. Or maybe you’ve always thought you could be your own best friend! 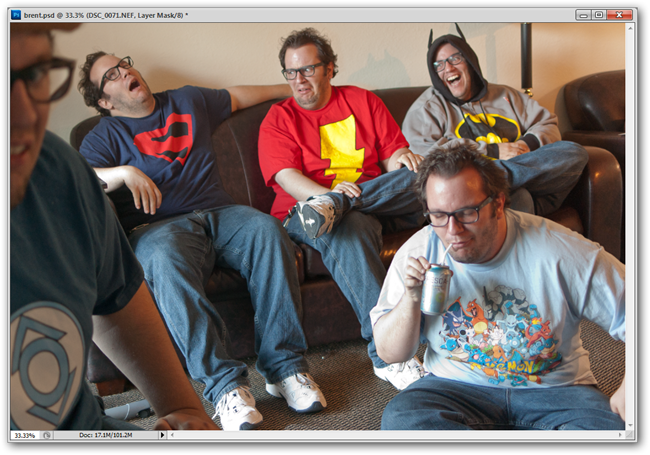 Regardless of your reasons, here’s how to duplicate yourself with some clever photograph tricks and either Photoshop or GIMP. 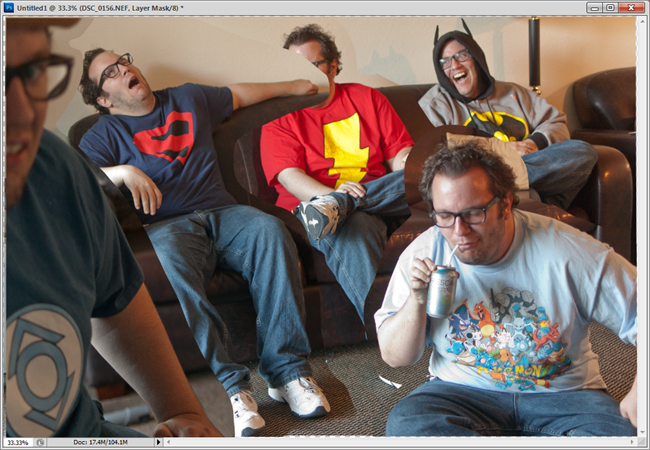 The best way to get good source images is to take your own. 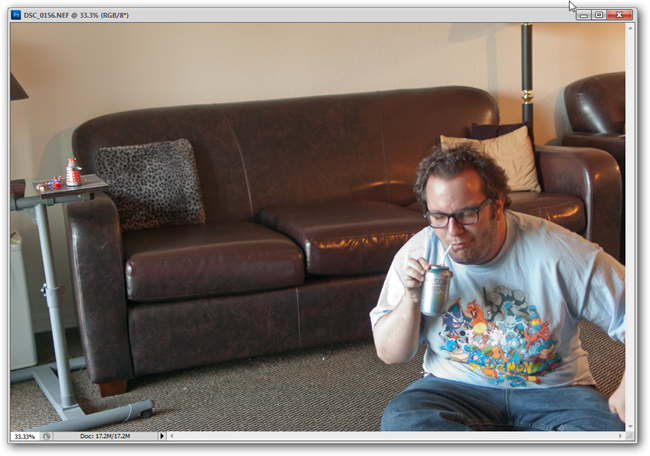 This is best served by using a tripod, a static location, and manual camera settings. 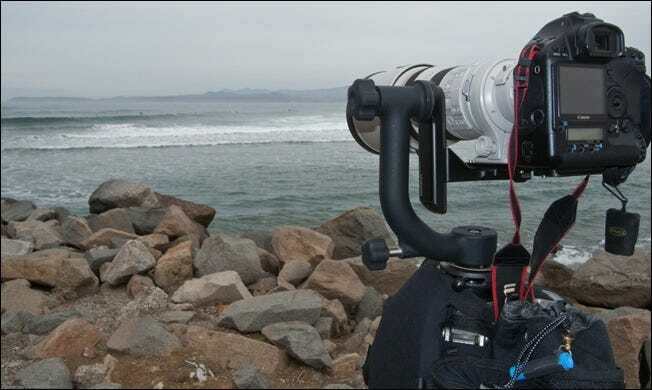 The kind of camera you use isn’t important, as long as you can lock it in place with a tripod and use the same shutter speed and aperture settings. You’ll want to keep the light the same throughout all your images. Indoor shots with artificial light tend to work better since they’re less likely to change, but feel free to use any kind of lighting you want. Here’s why this is all important. Aperture settings can change the way the light hits the sensor, distorting the image, hence the need for manual settings. Automatic shooting, even with a tripod, can give you images too different from each other to use. Simply find a manual setting that works for your posed picture and shoot all of your images with that setting. Your backdrop should hardly change at all during your photoshoot. Choose several images that work the best for the image and have a pretty fair idea what you want your final image to look like before you start shooting to make it easier on yourself. 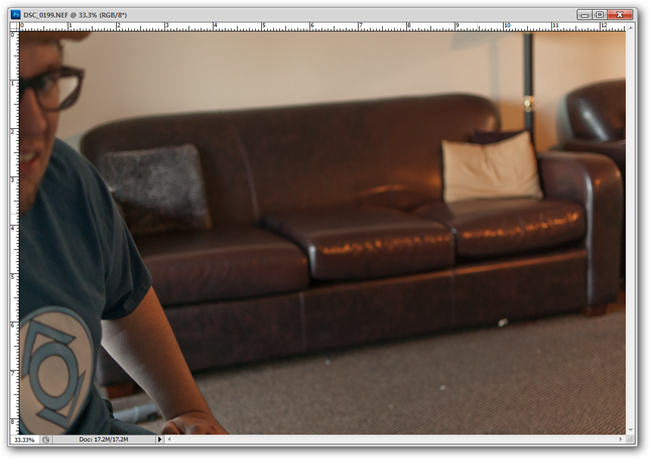 Shadows and the shapes of your subject will be the hardest parts to work with when stitching the images together. Pay attention to them and be sure not to use a flash, which can make your images unpredictable. If you have to the focus, be as careful as possible not to move the camera. Be aware that multiple photos with lots of different focuses can be a nightmare to combine, so do it as little as possible. 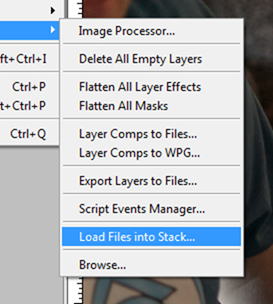 Images can be aligned manually (see how we did it in our older article about making Invisibility Cloaks) but the easiest way to do it is to use the Photoshop Script “Load Files into Stack.” Find it by navigating to File > Scripts > Load Files into Stack. This manual method can be helpful if you’re using GIMP, which lacks this script to automate the process. 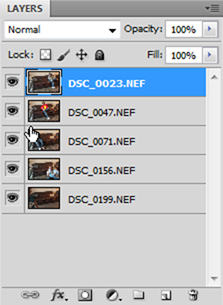 Pick the images you want to use either by browsing or with “Add Open Files.” It’s critical to use “Attempt to Automatically Align Source Images,” because this makes Photoshop line them up and correct the minute wobbles the camera might have had from shot to shot. Hit okay to load your selected images into a single Photoshop file. There will likely be lots of differences in the photographs (besides the subject), all of which will have to accommodated for. 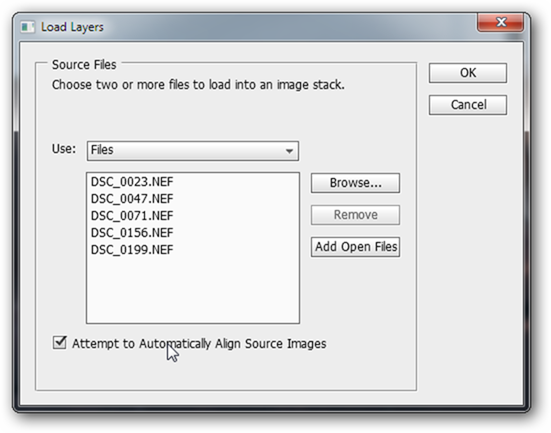 Reorder your layers, putting subjects on the bottom that should appear closer to the back. Then create rough layer masks using the lasso tool and the in the layers panel. 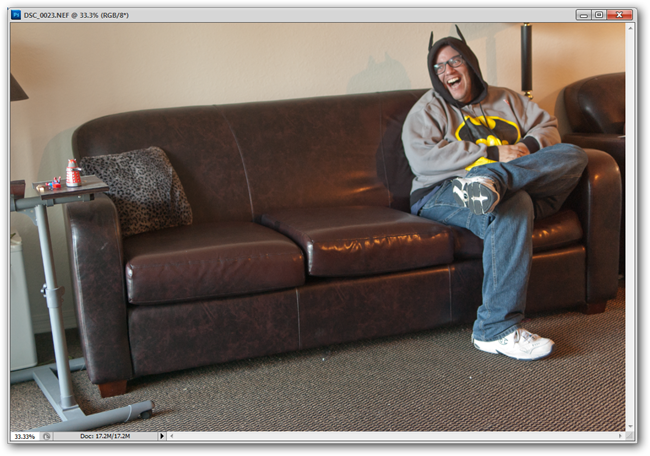 If you need a refresher on how to use layer masks, we’ve done a pretty thorough write up here. You can start masking out all the parts that don’t mesh particularly well together by using the brush tool. This is one of the best ways to mask our the unwanted parts of the images, but there are lots and lots (and lots and whole lots) of others, including the pen tool, if you’re feeling brave. 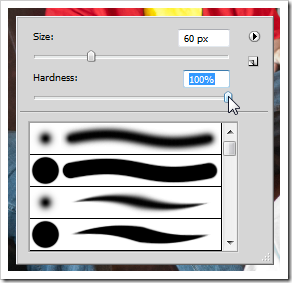 The brush tool is best for this sort of work, that can require edges with variable softness. You may have to switch many times while you mask out your edges. 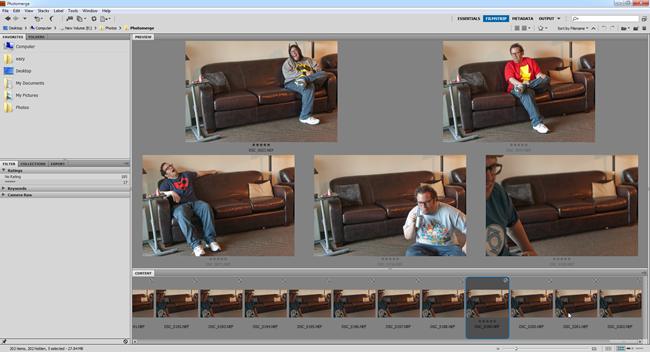 Go into your various layers and mask out all the stuff that’s overlapping your subjects. Sometimes you’ll need your subjects to overlap each other to look realistic. Paint them in selectively, switching between white and black in your foreground color. Hair can also cause problems when it needs to overlap parts of the image behind it. There’s a simple trick to getting nice edges with hair (fairly easy in both Photoshop and GIMP) in another older article with a few of our favorite tips on improving the quality of edges in cut out photographs. Other than that advice, there’s not much more you need to create your clone army than a little diligence and clever masking. Pay attention to shadows and shapes, and try to give your image a sense of realism. All things considered, have some fun with it! Thoughts or criticism on our method today? Tell us about it in the comments, or simply email us your questions at ericgoodnight@howtogeek.com, and we may feature them in a future How To Geek graphics article. Image Credits: Mike Baird’s 1D Mark III by Mike Baird, available under Creative Commons. 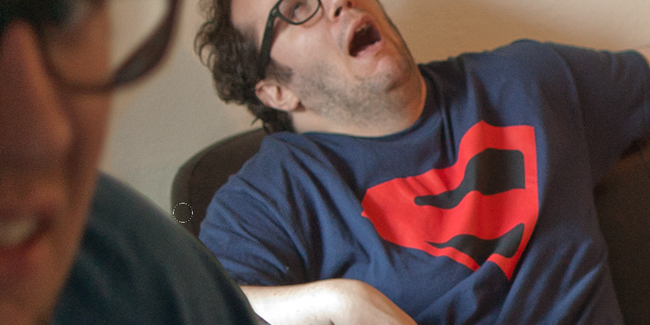 Special thanks to Brentosaur for being good enough to be silly on camera. All photographs taken for this article copyright the author.